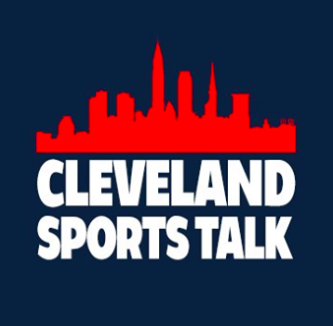 Like many people here in the city of Cleveland, I was shocked and thrilled that the Cleveland Browns had completed a trade with the New York Giants to acquire Odell Beckham Jr. for the Browns’ 1st round draft pick (17th overall), the Browns later 3rd round draft pick (95th overall), and safety Jabrill Peppers. The Browns and Giants also made a trade earlier where the Giants traded Olivier Vernon to the Browns in exchange for Kevin Zeitler. 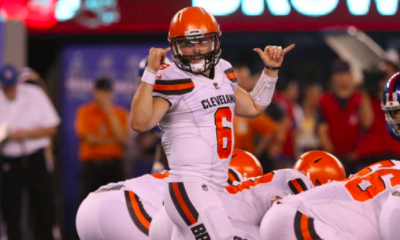 I love all of the moves that the Browns are making but being that the Browns just had a bit of success for the first time in a few seasons, I’m not fully in like everyone else seems to be. The first part of my skepticism stems from the change in coaching staff. When the Browns had Hue Jackson and Todd Hayley as the head coach and offensive coordinator, things didn’t go well before and after a Week 8, 33-18 loss to the Pittsburgh Steelers at Heinz Field in Pittsburgh, Pennsylvania. Both Jackson and Haley were relieved of their duties as head coach and offensive coordinator. Defensive Coordinator Gregg Williams was promoted from defensive coordinator to interim head coach and Freddie Kitchens was promoted from the running backs coach to the interim offensive coordinator. 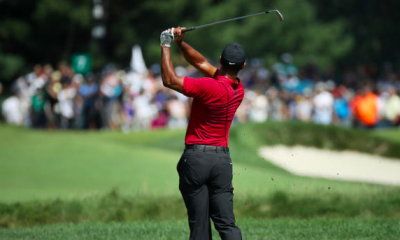 The first big success for the new pairing was Week 10 against the Atlanta Falcons (yes, the team that held a 28-3 lead in Super Bowl 51) when Nick Chubb ran for a 92-yard touchdown, the longest in franchise history, and the Browns defeated the Falcons 28-16. 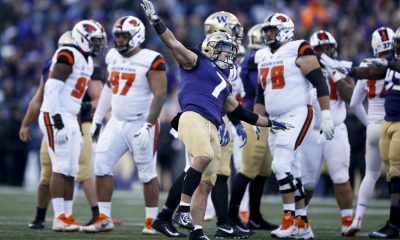 The Browns would also go on to beat the Cincinnati Bengals twice, beat the Carolina Panthers at home, and beat the Denver Broncos on the road, but lost to the Houston Texans and the Baltimore Ravens both on the road. Then the offseason came and sweeping changes were made throughout the organization. 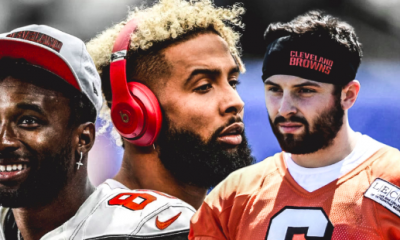 Starting with the surprising release of Gregg Williams as head coach, which I personally disagree with, followed by the hiring of Freddie Kitchens as the head coach, signing suspended running back Kareem Hunt to a contract, and of course, bringing in Odell Beckham Jr. from the New York Giants in exchange for the 17th overall pick, the 95th overall pick and safety Jabrill Peppers. 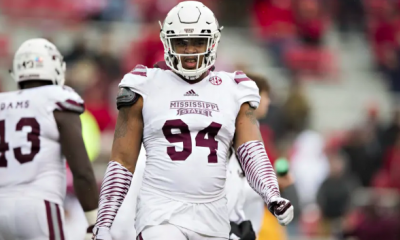 Then, on April 1, 2019, the Browns traded defensive end Emmanuel Ogbah to the Kansas City Chiefs in exchange for safety Eric Murray. The Browns were ok to trade Ogbah because Olivier Vernon essentially plays the same position. 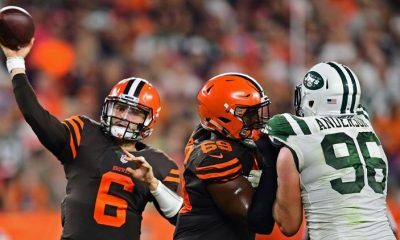 However, I saw a report this morning (April 3, 2019) that the Browns are looking to trade running back Duke Johnson Jr. since they will have Kareem Hunt back after Week 8 and they have Nick Chubb to play the running back position. 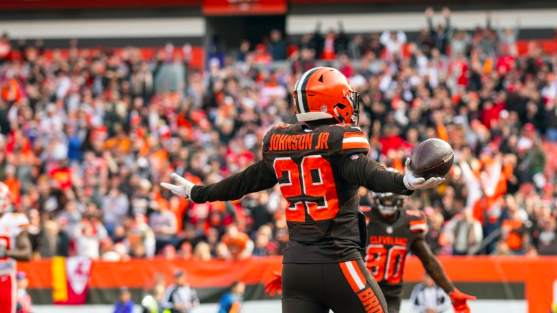 However, I think it would be a mistake to trade Duke Johnson, the reason is because although Johnson is a running back, the Browns have used him as a hybrid and put him in the slot as receiver and that’s why I don’t think the Browns should trade him because the team can continue to use him as a hybrid and slowly turn him into a slot receiver. 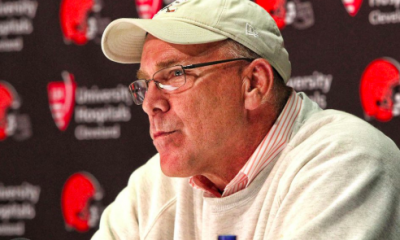 Now, all of that being said, I want to get excited about the Browns this season; I really do. However, for me, I need to see another year or two of the Browns doing well to fully get excited about it. 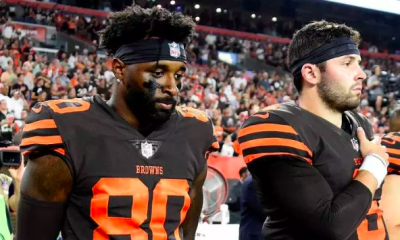 As much as I love what the offense did with Freddie Kitchens as interim offensive coordinator when Gregg Williams was the interim head coach, the Browns had a different swagger and I’m worried that the swagger won’t be there this season. The Browns have an interesting list of opponents this season. The AFC North plays the AFC East and the NFC West and since the Browns finished in 3rd place in the division they’re going to play the teams who finished in 3rd place from the AFC South and the AFC West. So, the Browns home opponents will be: Baltimore Ravens, Cincinnati Bengals, Pittsburgh Steelers, Buffalo Bills, Miami Dolphins, Seattle Seahawks, Los Angeles Rams (NFC Champions) and the Tennessee Titans. 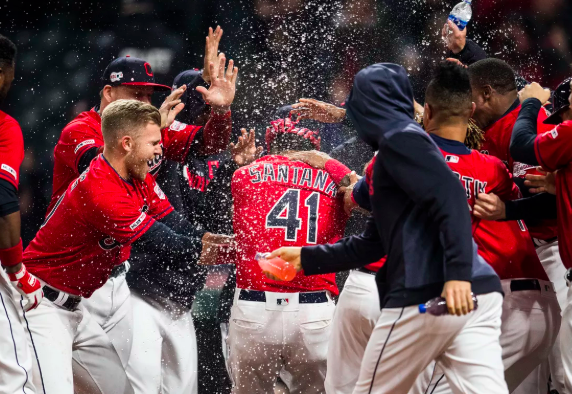 The Browns’ away opponents will be: Baltimore Ravens, Cincinnati Bengals, Pittsburgh Steelers, New England Patriots (Super Bowl LIII champions), New York Jets, Arizona Cardinals, San Francisco 49ers, and the Denver Broncos. 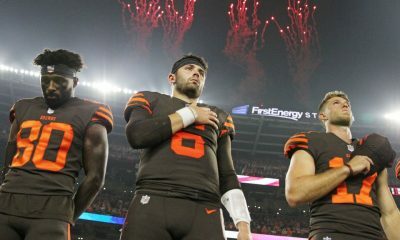 I know that in an earlier article, I said that there was a report that the Browns would be opening their season on Monday Night Football in the desert against the Arizona Cardinals. However, I have a different thought now, due to the NFL making the opening game Packers at Bears for the 100th season instead of the Patriots, I think the Week 1 Sunday Night Football matchup will be the new-look Cleveland Browns traveling to Foxborough, Massachusetts, to play in Gillette Stadium against Tom Brady and the “Six-Time Super Bowl Champion” New England Patriots, when they unveil their latest Super Bowl banner.